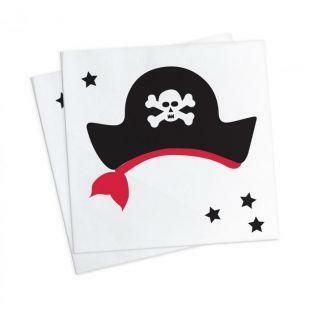 This set of 8 plates with cardboard pirate motifs are ideal for decorating a table in different events: birthday, wedding, baptism ... 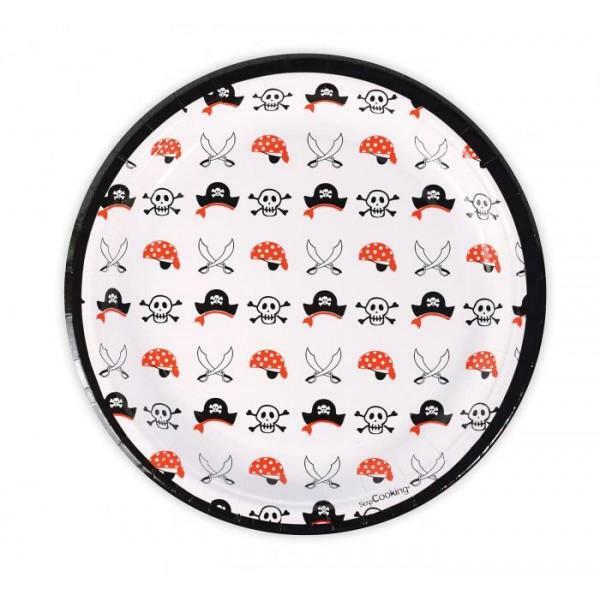 Diameter 23 cm. 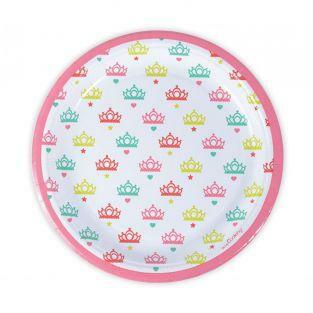 Be creative with the products of ScrapCooking Party! 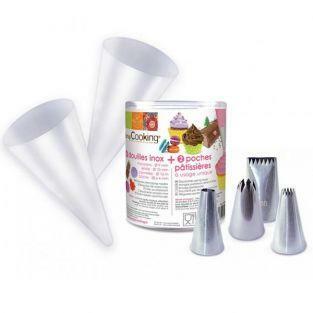 This box contains 2 disposable bags and 4 sockets stainless helpful for dressing and decorating your cakes. 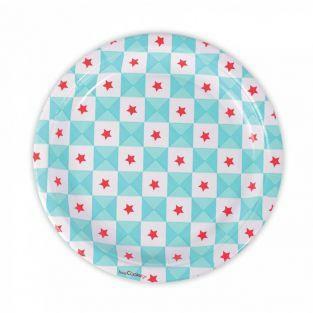 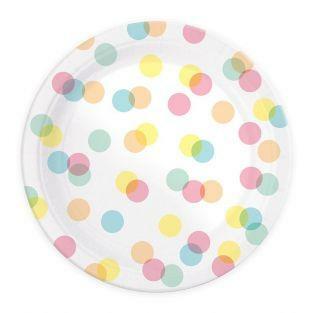 For your parties, birthdays, weddings, baptisms or sweet table decoration, discover this pack of 8 cardboard plates nicely decorated with blue geometric shapes and red stars on a white background. 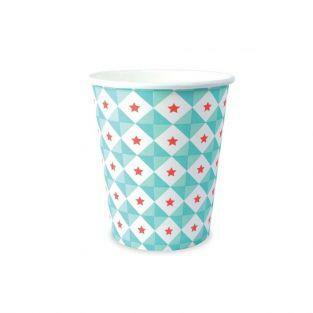 Discover also the towels of the same series as well as the cardboard straws Geometry Stars Blue. 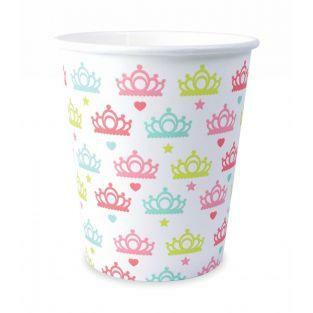 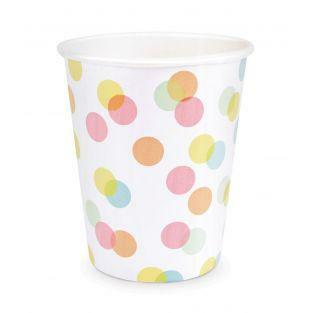 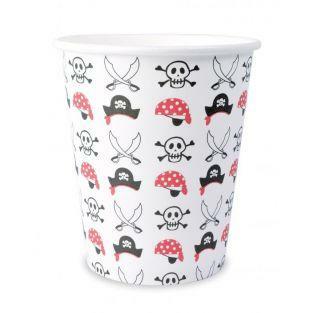 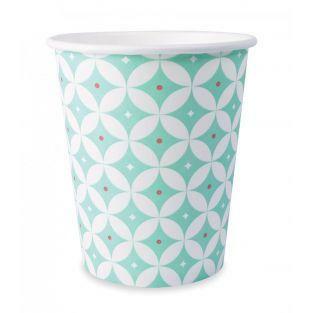 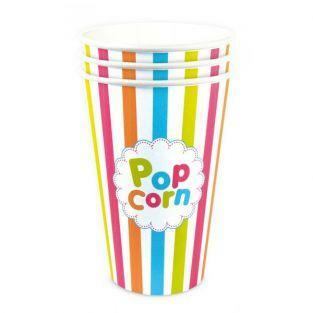 For your parties, birthdays, weddings, baptisms or sweet table decoration, discover this pack of 8 cardboard cups nicely decorated with blue geometric shapes and red stars on a white background. 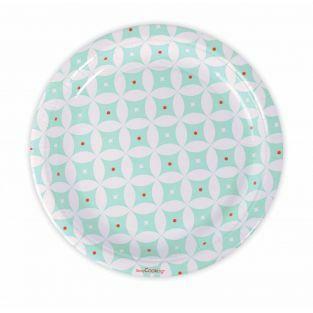 Discover also the plates of the same series as well as cardboard straws Geometry Stars Blue. 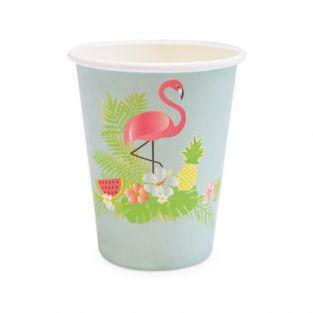 For your tropical celebrations and birthdays, discover this pack of 8 cardboard cups nicely decorated with a pink flamingo, vegetation and exotic fruits on a pastel blue background. 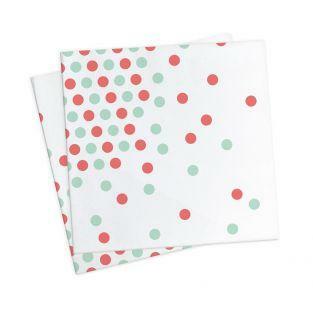 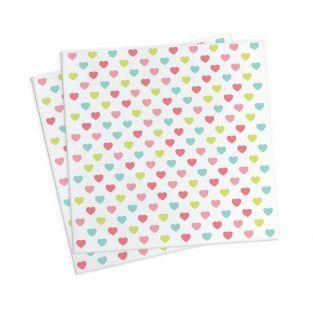 Discover also the towels of the same series as well as the summer cardboard plates.